A very popular phrase in sports is “A strong second half”. We always here about good second half teams, second half comebacks etc., and the same goes for fantasy football. Nine weeks are in the books, and most teams are at the 8 game mark, or half-way through the 16 game NFL schedule. The time has come to put any bad weeks behind and get ready to finish strong. 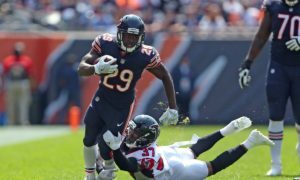 There are still a few players on the fantasy football waiver list that can pay dividends, and some top picks who can still salvage a rough season. Just make sure you study hard, because if the second half is any like the first, it will be a challenge. So back comes “The Shark” to help you with some advice. Yes, games are being played on Thursday now too, so you really have to work overtime to get your team on the field in time, so with all apologies to Ravens and Falcons owners, we have the Sunday players ready for you. Read on and play accordingly, and as always good luck in week 10. Don’t worry about new coaches and new found rejuvenation in Dallas. The New York Giants are red hot, and Manning is leading the charge. A few weeks back he torched the Cowboy secondary and is also coming off a huge game against the Seahawks. Manning is finally looking like a top 5 fantasy QB, so at this rate you start him every week. Starting QBs against Houston is becoming the ultimate fantasy football version of “well duh!” The Texans secondary is stopping nobody, and Garrard has shown that against weak defenses he can go off. He is actually playing better than many expected and his weapons like Mike Sims-Walker, Marcedes Lewis and Mike Thomas have been stepping it up. Start him here, like any QB against the Texans. Some people are very scared of the thought of using Favre, but the numbers speak volumes. In his last 3 starts vs. Chicago, Favre has averaged 25-30 fantasy points, which is great numbers for a starting QB. Sidney Rice may come back this week which is a huge plus and Percy Harvin has played well. Also Adrian Peterson is catching more. So “despite” Brad Childress, the Vikings are playing improved football on offense. In the rematch of McNabb vs. his former club, Donovan has lots on his plate. The Eagles pass defense has been better, and he is dealing with uncertainty with his body and with his coach. The Eagles, many feel should own this rematch, and McNabb just isn’t playing that well right now, so I don’t like him here at all. Call me crazy, but this defense has slowed down both Tom Brady and Drew Brees this year, and did well against Matt Ryan. I think that all 3 of these QBs are much better than Sanchez, and quite frankly the Jets offense has been struggling. Sanchez is not quite ready to be a one man wrecking crew to opponent’s defenses, so this should be a ground game, and an average day at best for Sanchez. No need to get cute. Only the truly desperate owner should start Kitna. The Giants defense eats QBs for breakfast. Yes in the last meeting Kitna got some late action, but this time the Giants will be more than ready, and it won’t bode well for Kitna and the ‘Boys. This is a big bounce back game for the Bucs. After a tough loss last week to division rival Atlanta, the Bucs need this one to stay in the hunt for a playoff spot. Blount did not do much last week, but the Panthers do not do a good job stopping the run, so Tampa’s new hot hand should be busy here. One of these days teams will learn that the best way to get to Indy is to keep pounding the ball on the ground. Benson has not had many big week s so far this year, but he did get a late TD against the Steelers and anything is possible. If Cincy wants to have a prayer here, Benson will have to go over 100 yards and punch one in. I have a feeling he does right here. How many times have we seen one team expose another team’s weakness, then watching the trend continue? Peyton Hillis tore up the Patriots usually good run defense last week to the tune of 184 yards, so I see no reason why Mendenhall, who is amongst the top RB in the leagues in yards, should not have a nice day here. He is scoring TDs regularly, and is seeing more passing action too. A nice start in what will be a tough game. I can’t win with this guy. Last week, in what looked like a super match-up he stalled. This week the match-up looks real tough and he never plays well against the Vikings. Forte can always do stuff in the passing game, but the Bears have shied away from that too of late. If Matt gets anything here it will be cheap and unexpected. Do you want to take that risk? It just isn’t the same MJD so far this year. 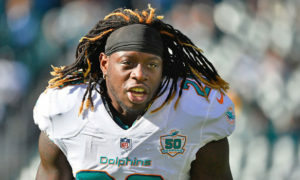 He has not been the big time back owners have been used too, and this week, with his team facing the league’s worst pass defense, he will be more of a pass blocker and receiver than running back. Jones-Drew has just one rushing TD this year, which is absurd, but very true. He is hard to sit, but that is my advice to you here. You just do not run in the Penguins, no matter how creative your offense is trying to be. These guys have been good the last few weeks, but this is not the time nor place for them to continue their scoring ways. A kick returning back, like LaRod Stephens-Howlings would make a better play this week. Stay away, far away. With Shaun Hill coming back to start at QB, Pettigrew should be busy. 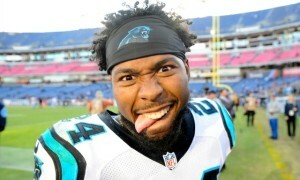 Yes, they have Calvin Johnson and Nate Burleson, but the main man to watch will be Pettigrew. He is fitting in nicely and is one of the better TE in the league right now. The Bills play well against WRs so this is a great spot for Pettigrew to take center stage. Seems like this season, every time that Bowe makes a big drop one week, he goes off the next. The Chiefs need this game badly to keep the lead in the AFC, and despite having good running backs, it is the passing game that needs to be better. Bowe is due for a big one this week, like one of those 2 TD games. He’s back healthy, and that is big news for the Eagles. With Michael Vick at Qb, Jackson has been busy and the Eagles are using him for the deep ball. Jackson is explosive, and is the best weapon Philly puts on the field. So if they expect to get revenge on the Redskins this week, he will need to do plenty, and should. Wayne is just looking so slow and banged up that I cannot possibly recommend you to start him. Last week the Eagles let him just nickle and dime it, so in PPR leagues he was an OK start, but is not getting the TDs. Cincy has some physical CBs and will be looking to bring it to Wayne. Peyton Manning finds players to make catches, so he probably won’t struggle, but Wayne may. I preach it every week, and it is more important here. As long as Kitna starts, Austin struggles, period. Here begins the learning process, yet again, for Moss. He may be big here, but we won’t know right away, and the Dolphins are decent on defense, so don’t expect big things from Moss just yet. There is still a chance to get some help from the free agent list in your league. Check out these guys who were still available this week. The Lions pass game has gotten better, and last week Burleson had a big week. He has always been a nice spot start when hot and it seems like he is heating up. Sometimes players with little to lose make nice impacts. The Panthers are really banged up so we may not see the big 2 backs this week or next, so if you need a starter and a guy who will get a lot of work, it can’t help to look at Goodson. Spot start alert right here! If you are still suffering from bye week blues, Manningham may bring you some relief this week. Dallas has a terrible pass defense and he was active against them earlier this year. Chad may not have the long ball arm strength but he has always been a craft QB. With Marshall, Bess and Hartline at his disposal he will certainly have a chance to make some noise. If you are desperate for good QB play, keep an eye on Pennington. Here is a nice little sneak play who is doing more each week. The Cardinals special teams are pretty good this year so he has been active. He also is becoming a pass catching option at RB, and with Beanie Wells banged up and Tim Hightower struggling he can be a nice play down the road for you. Q: Does the right kicker make a big difference this time of year? A; My fantasy rule always stays, stick to what got you there. The Steelers defense are big time ball players and usually are known to make big plays in the bigger games. Yes Tom Brady is a real good QB, bit the Steelers swarm to the ball. Well, here is what I have for you to help you through week 10. Good luck everybody and enjoy the action!